Home > The Connection magazine special issue dedicated to VAM® 50 years is hot off the press! 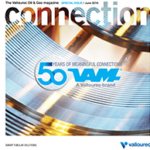 The Connection magazine special issue dedicated to VAM® 50 years is hot off the press! Discover VAM®’s key milestones which turned a breakthrough innovation into a worldwide success, making Vallourec the world leader in premium tubular solutions. Click to read the special issue. In 1965, Vallourec revolutionized pipe connections by launching the first VAM® product, a premium joint that would transform tubing and casing standards in the Oil & Gas world. VAM® turned out to be the perfect metal-to-metal connector, offering unparalleled performance. 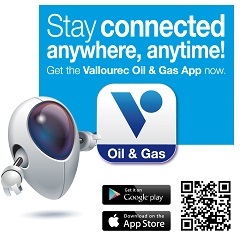 Vallourec is constantly innovating to design solutions to meet the ever more complex needs of our customers. At a time when the market is today more demanding than ever, premium connections and human connections must continue to go hand-in-hand. This is an essential issue that will allow us to continue meeting our customers’ challenges – particularly those relating to safety, the environment, and cost reduction – by adhering to our values of competitiveness, premium quality, proximity and collaboration.